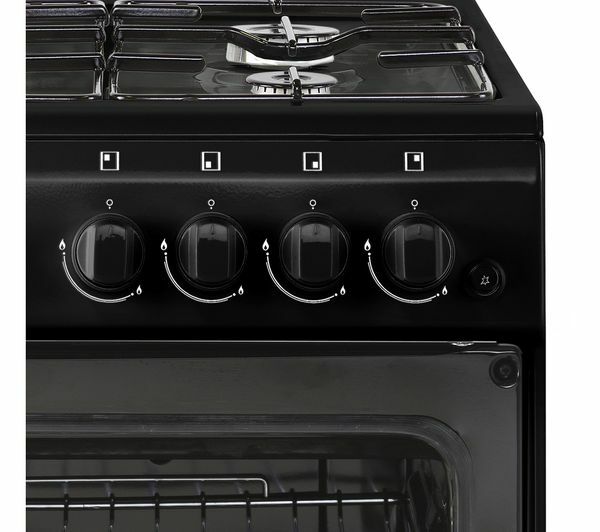 Avoid accidents while cooking on the hob, as all of the gas burners feature flame safety devices which cut the gas supply when an extinguished flame is detected. This helps to prevent potential gas leaks. Plus, you can avoid burns and spills with the front facing control dials, as you won't have to place your hands over your hot pots and pans. There's no need for scrubbing and expensive chemicals. 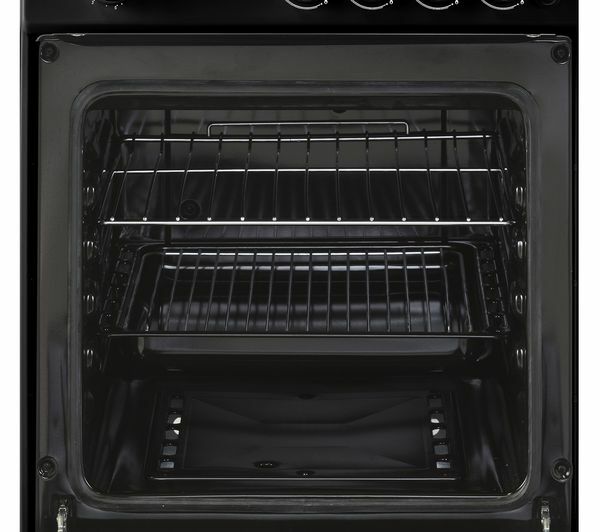 The easy clean enamel oven liners make keeping your New World 50GSO 50 cm Gas Cooker clean simple, so all you have to do is wipe away any mess and debris with a damp cloth. You can prepare deliciously crispy fish and meat under the gas powered variable grill, giving you a healthy way to prepare dinner. 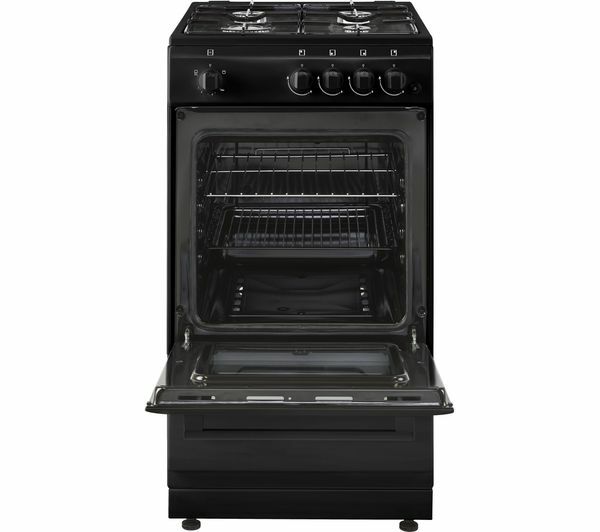 The gas powered oven cavity is also ideal for conventional roasting across multiple shelves. As natural convection allows hot air to rise, you can place your meats on the top level and keep more delicate items such as vegetables and desserts at a lower level for ideal cooking temperatures throughout. 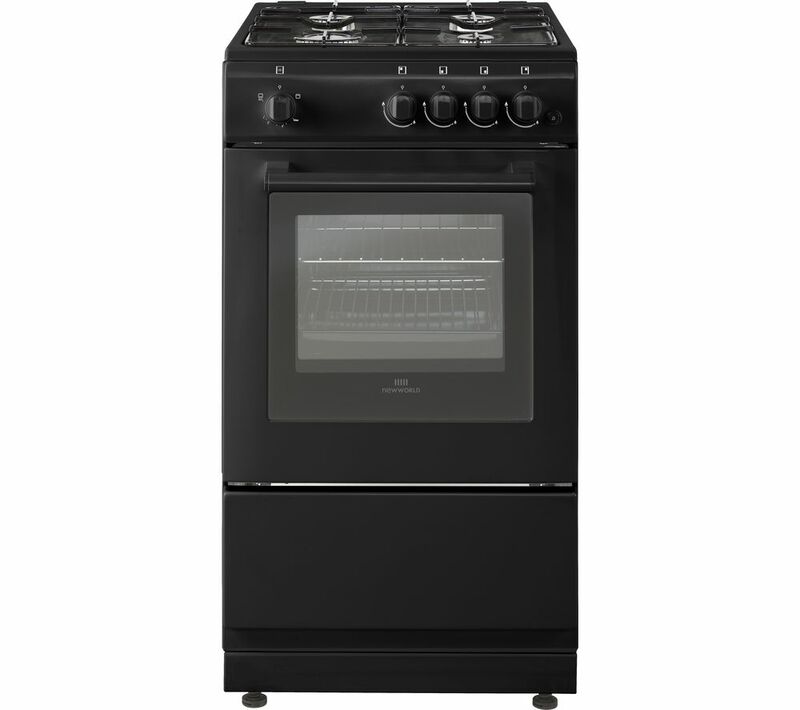 The gas hobs allow better heat control than electric hobs, perfect for precision cooking. Cheap, easy to use, does the job. Basic features, but easy to use. Gas marks do not match universal settings. I.e. 180 c = gas mark 4 in every other oven, but = gas mark 2 in this ovens little world.